Once during your turn (before your attack), you may attach a [G] Energy card from your hand to 1 of your Pokémon. If you do, remove 1 damage counter from that Pokémon. 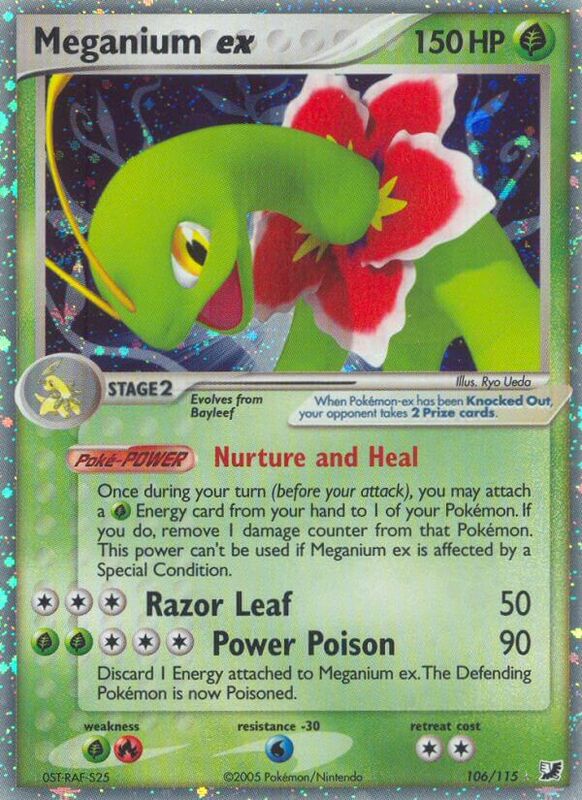 This power can’t be used if Meganium ex is affected by a Special Condition. Discard 1 Energy attached to Meganium ex. The Defending Pokémon is now Poisoned. Using this weakness mindset, the weaknesses should be [R][P][C][G][W].